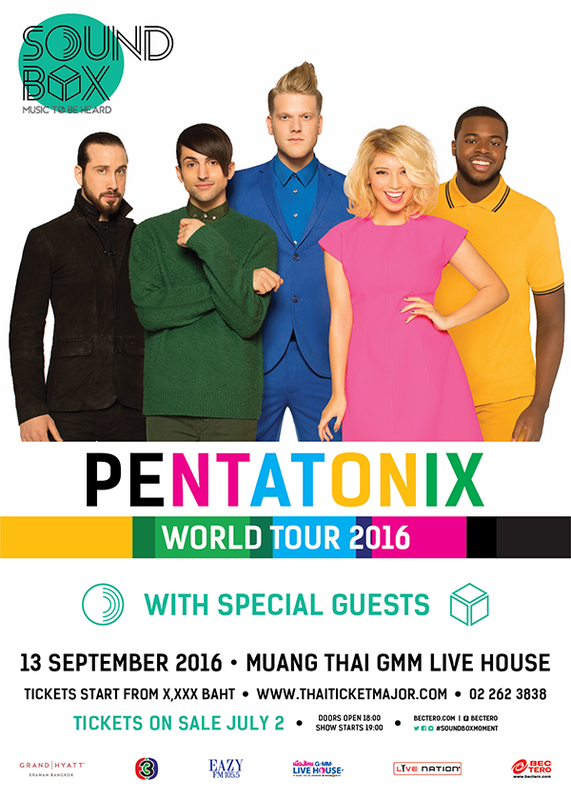 A cappella sensations Pentatonix heading to Bangkok for 13 September show after 1.5 billion views on YouTube, now is your chance to see and hear Petnatonix live! Chart-topping American a cappella group Pentatonix are heading to Bangkok for their first Thai concert on Tuesday 13 September as part of the SoundBox series of concerts. The group will perform one show only at Muang Thai GMM Live House, 8th floor, CentralWorld. 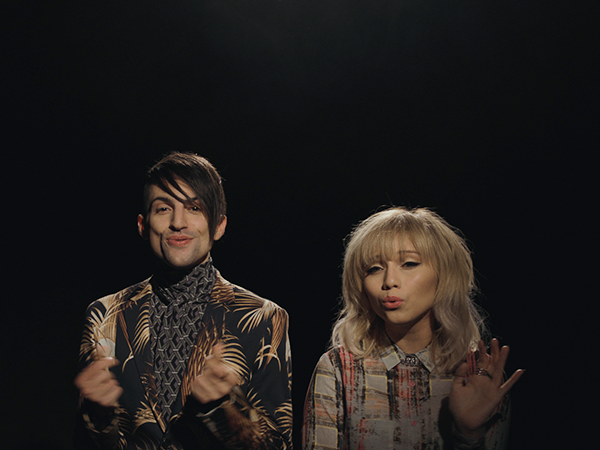 Pentatonix first became YouTube sensations when they started uploading their amazing a cappella versions of many current top hits. 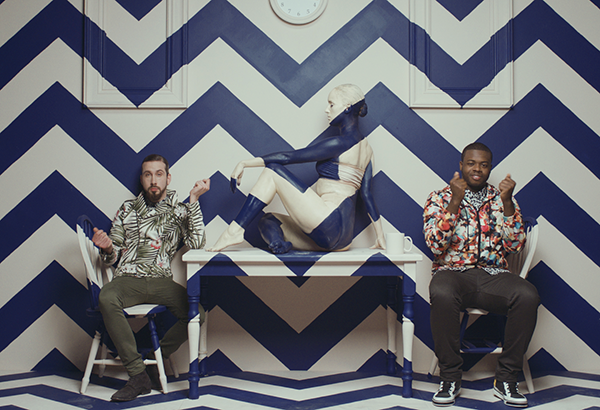 Their dynamic vocal and visual style led to a recording contract and they have now released four EPs and four albums, including their latest Pentatonix which debuted at #1 on the Billboard 200 and Billboard Digital Albums charts. The group has sold more than 3.2 million albums in the US alone, and they have sold out venues worldwide. 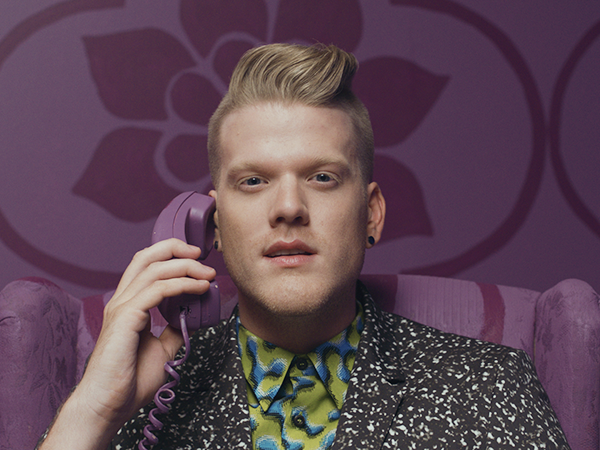 All of Pentatonix’ releases have reached the Top 5 on the Digital Albums Chart. Pentatonix comprises five outstanding vocalists: Scott Hoying, Mitch Grassi, Kirstin Maldonado, Avi Kaplan, and Kevin “K.O.” Olusola. They are truly the most exceptional a cappella group of our time and were featured in the movie Pitch Perfect 2. The platinum-selling quintet has received a number of industry awards – they won consecutive Grammy Awards in 2015 and 2016 for Best Arrangement, Instrumental or A cappella. Pentatonix were also named YouTube Music Awards 2015’s Artist of the Year, and their YouTube channel has attracted more than 1.5 billion views and has over 10.5 million subscribers! Their first single, “Can’t Sleep Love” has over 18 million views, while their most recent holiday album That’s Christmas To Me is certified double platinum in the US. The group has also released a documentary film On My Way Home which follows them on their sold out 2015 North American Tour. 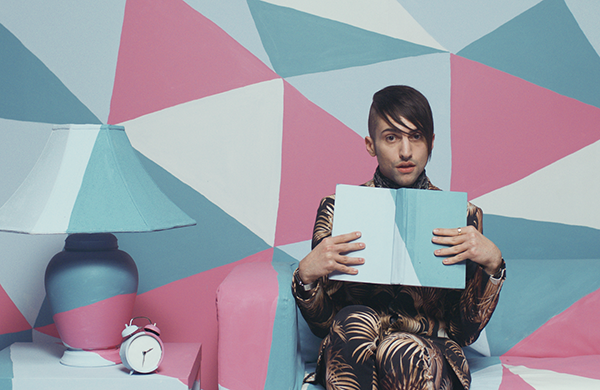 The film includes behind-the-scenes footage, live performances and exclusive clips of the making of the Pentatonix album. Get ready for an a cappella experience like you’ve never heard before when Live Nation and BEC-Tero Entertainment present Pentatonix at their SoundBox concert on Tuesday 13 September 2016 at Muang Thai GMM Live House, 8th floor, CentralWorld. Tickets are limited and go on sale for Bt2,000 (standing) on Saturday 2 July, 2016 at 10.00am at all ThaiTicketMajor outlets or online at www.thaiticketmajor.com. For more information, please call 0-2262-3838. For more updates, please visit www.bectero.com, www.facebook.com/bectero, Twitter: @BEC_Tero_Ent and Instagram: BECTERO_ENTERTAINMENT.